Celebrating heroes of the American Conservation Movement, the John Muir Trail in California traverses some of the most spectacular scenery in the High Sierra, John Muir’s “Range of Light.” Backpackers traverse three national parks and two wilderness areas along its 210-mile length. This trail has rightly earned its reputation as an icon in the long-distance trail community. 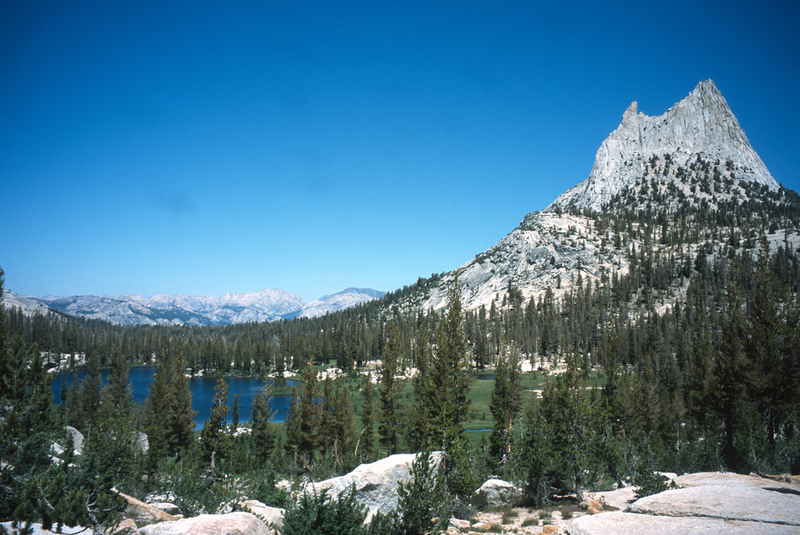 Cathedral Peak is a distinctive landmark along the John Muir Trail.